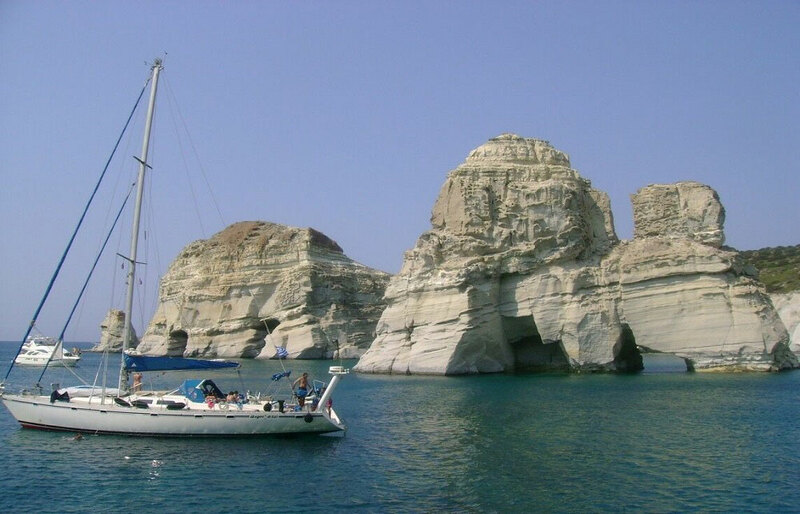 Sail to the famous Kleftiko, Milos’ mesmerizing landmark, and visit some of the islands’ most impressive spots along the way! 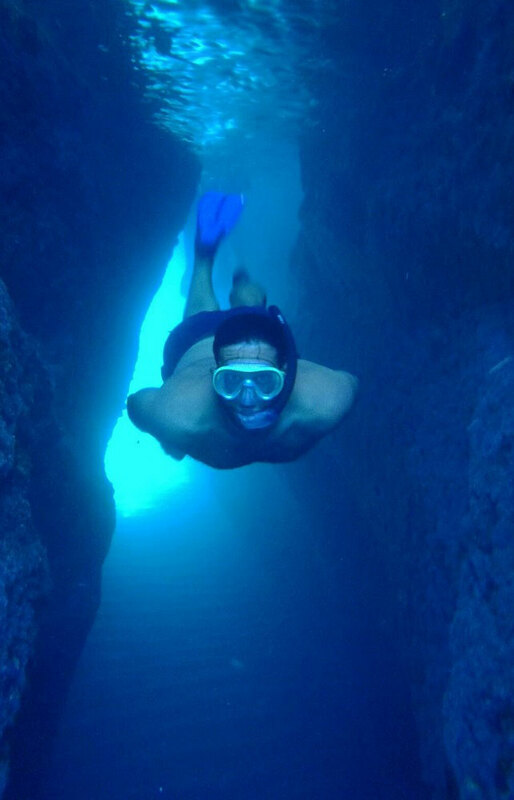 Swim and snorkel in amazing lunar sceneries, see dramatic rock formations coming out of the sea and explore natural caves and underwater passages. 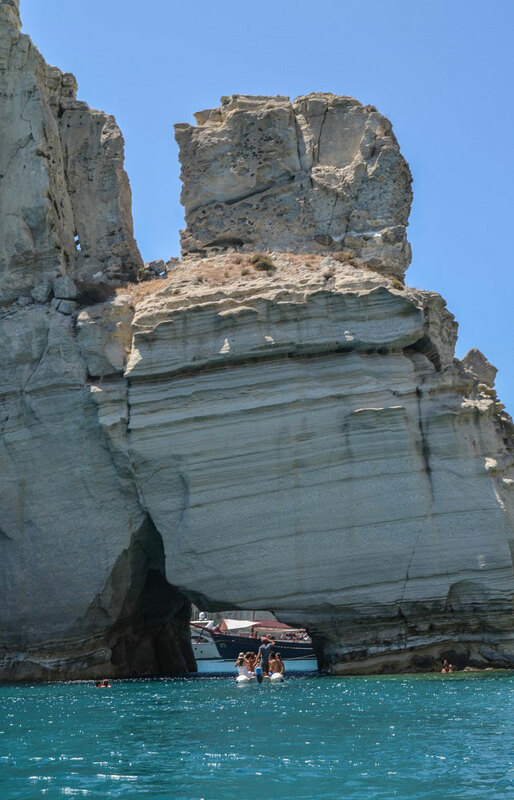 A definite must see while visiting Milos! 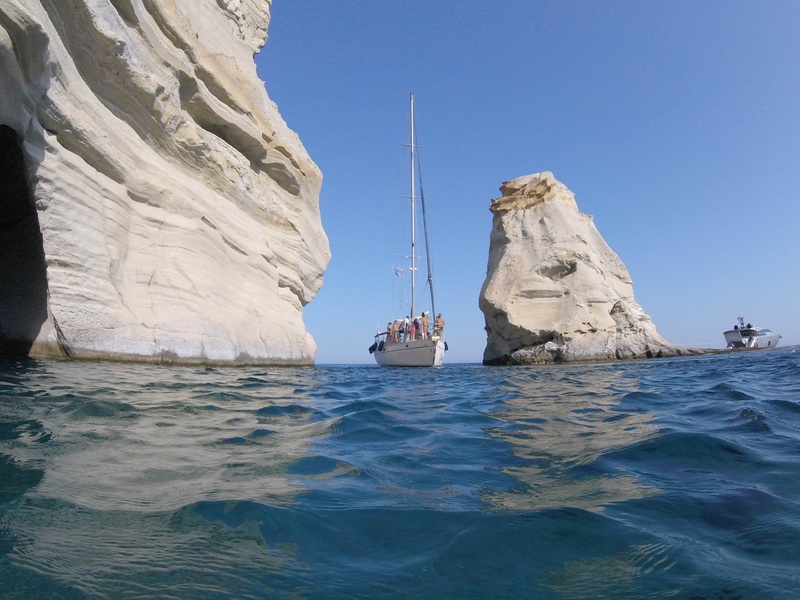 Experience this unique sailing trip and explore the breathtaking coastline Milos has to offer. 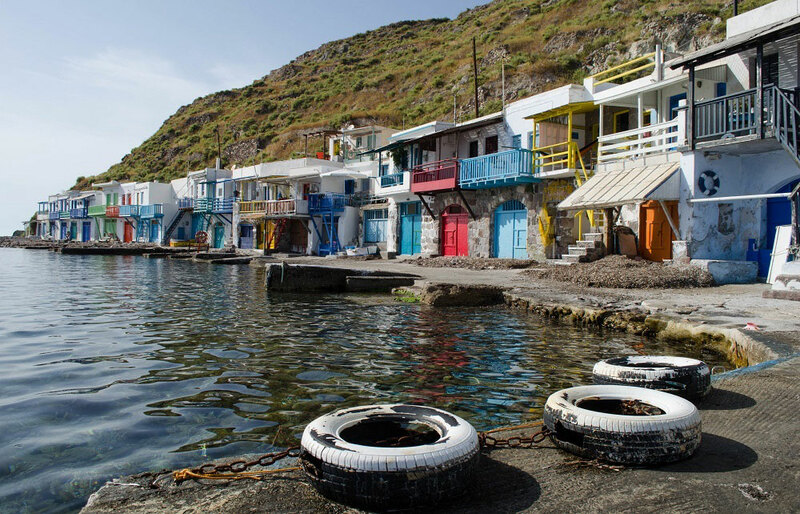 You will depart from Adamas port and pass by the village of Klima, a traditional fishing village with the renowned colorful doors “syrmata”, or boat parking lots, before you make a stop at the isolated beach of Agios Dimitrios for your first swim. 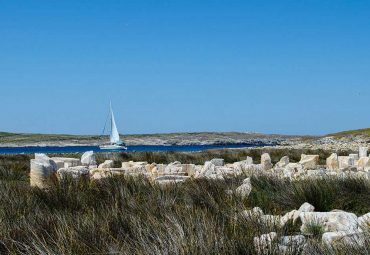 Then, you will cruise along the coastline to pass by the extraordinary colorful layered rocks at the old manganese mine in Cape Vani. Your next refreshing swimming stop is at Kalogries, one of the stunning beaches of the west side. Later, you will visit Sykia cave via a narrow passage to admire its impressive geological formation and take some amazing photo shots. 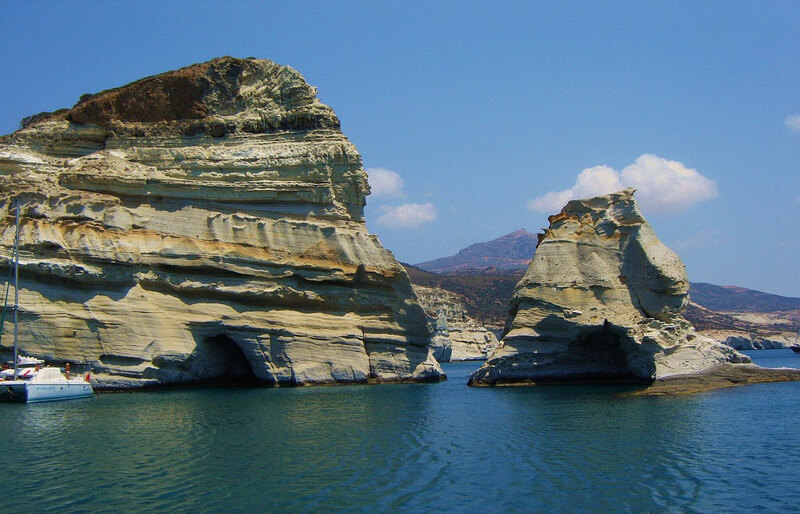 Finally, you will reach the landmark of Milos, the famous Kleftiko, a unique volcanic landscape that has been a pirate hideout for centuries. 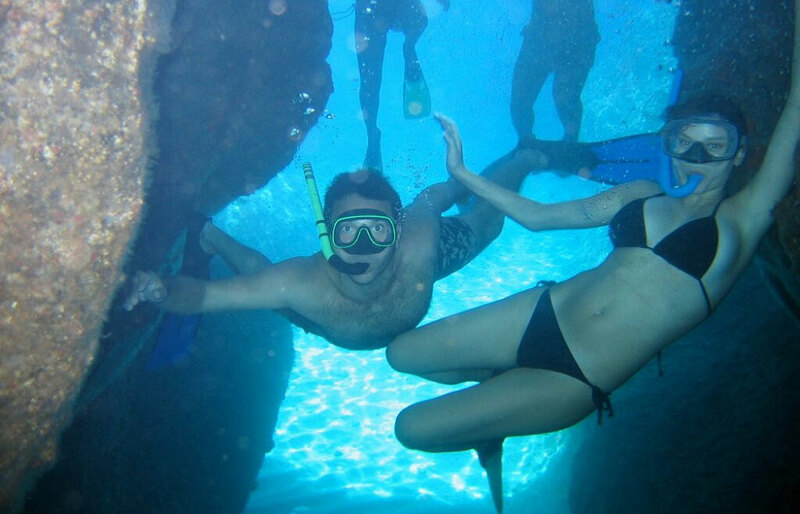 Here you will dive in the crystal clear waters, go on a snorkel safari to explore the fascinating caves and underwater passages that lead to three different secluded bays, and use the action camera offered on board to capture the best underwater photos and videos to take with you back home! 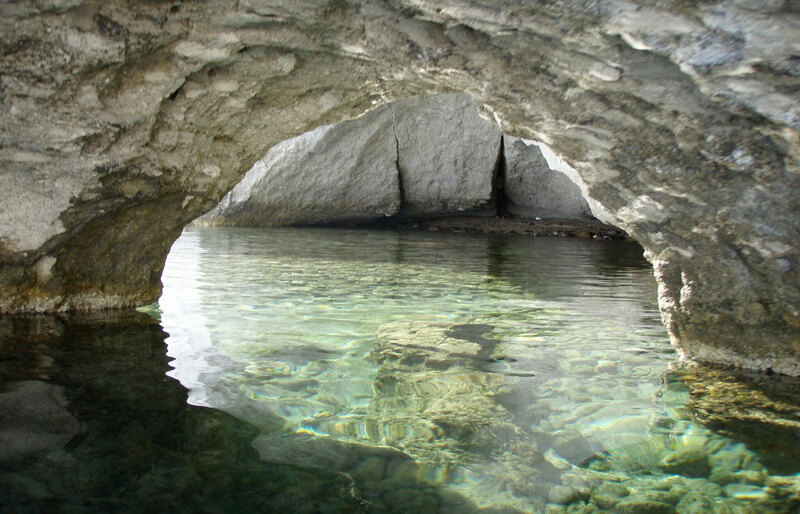 After diving, you will step in the yacht tender boat to explore the rest of Kleftiko’s caves that are impossible to explore by swimming. Lunch, snacks and refreshments will be served on board between the stops, to keep your energy levels high. 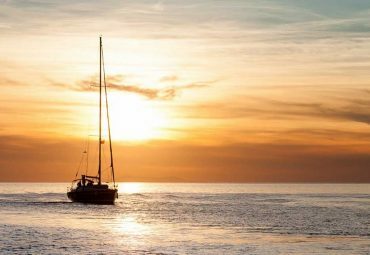 At the end of this amazing day, you will return to the port of Adamas. 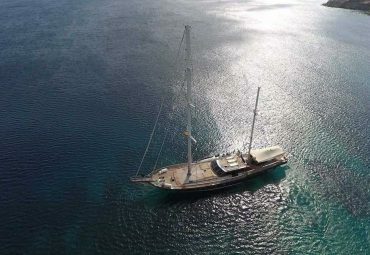 Please note that the itinerary may be reversed or the schedule altered based on prevailing weather conditions and/or boat traffic at the visiting locations, however under no circumstances will Kleftiko be omitted from the program. This tour is organized (group) with minimum number of participants 8. 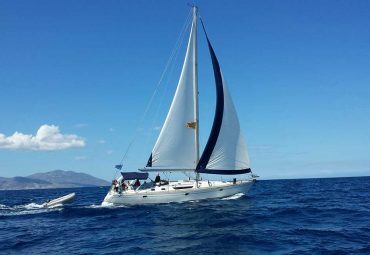 In case of strong wind, the boats usually modify their route in order to avoid the parts of the island that are mostly affected by the wind. Transfer service from the original departure point to the modified one is included in the price. 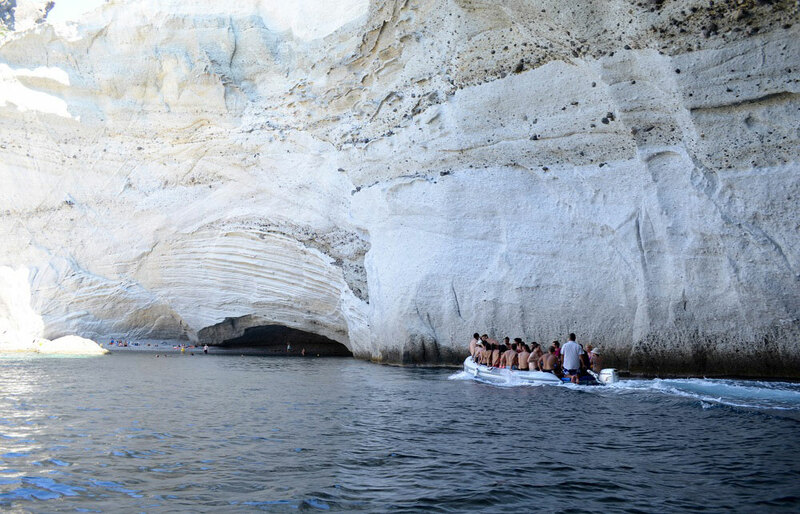 Don’t miss this amazing chance to see the best Milos has to offer, swim in stunning lunar like landscapes and take amazing photos! This trip will take your breath away!